Enable timely and effective treatment to reduce mortality and ongoing transmission, and prevent antimicrobial resistance by ensuring universal access to DST. Required tests: Rapid and simple tests for detection of drug resistance in decentralized settings for existing and future drugs, as well as tests to assess response to therapy and cure. Existing molecular diagnostics provide limited and often insufficient information for guiding clinicians in the selection of the most effective drug regimen for TB treatment. Improvements in sequencing technologies make it possible to determine the DNA sequence of a complete bacterial genome in a few days at an affordable cost. As a result, these data provide relevant information on resistance virulence and typing in a unique assay. While updates in WHO treatment guidelines call for new molecular DST assays, a review of the TPP on next-generation DST at peripheral levels is urgently needed to guide test developers. 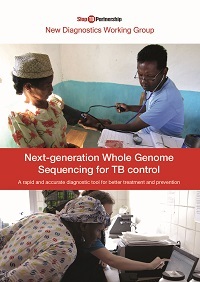 Increasing relevance of next generation sequencing in determining the specific mutations associated with resistance contributes to generate new data enabling to assess the alignment of the current TPP with the latest treatment guidelines for drug-resistant TB, including prioritization of anti-TB agents for testing.